My wife and I are quite interested in building your Elk Ridge plan. However, of the three possible points of contact for your homes, not one has returned e-mails to me. I then phoned the closest dealer and spoke to the young lady in charge. She promised me a call back with the additional information I had requested. She has never called back. Are there any dealers in Saskatchewan that actually want to assist someone interested in your homes? Hi Brent. If you would like to forward your contact information to homesandcottages@homehardware.ca along with where you are planning to build I will have a dealer in your area follow up with you. Is there an option available to purchase the building plans of any of your home designs? 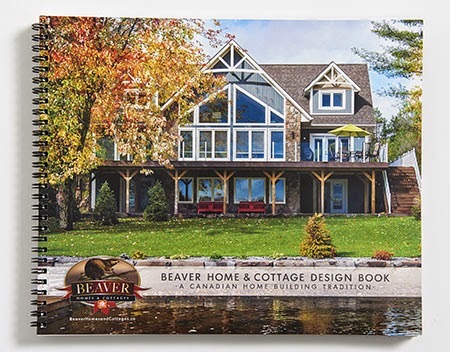 Blueprints for the designs in the Beaver Home & Cottage Design Book and on the website are not available to purchase, however they are provided as part of the Beaver Home & Cottage Building Material Package. I really like the Madison plan. Do you do any work in the United States? Hi Kyle. We don't have any dealers in the United States but some of our Canadian dealers will ship to the US. The best thing for you to do would be to search for the dealer nearest to where you are planning on building and sending them an inquiry. I have purchased your latest Homes & Cottages Design Book and I am interested in viewing the house plans but can not find them in your book. There is a picture of this home on page 12 of your book but no plans or name of this home to search for plans. Is there a name and is there house plans to view of this home? Hi Lisa. The model shown on page 12 of the current book (17th Edition) is an example of a custom design and the design is not readily available. The model shown on the cover of the book in this post (15th Edition) is a modified Copper Creek. Do the homes include the construction? Or would the client need to build the home itself? I tried to look it up but can't find an answer. These are building materials packages. Construction is handled separately. Your local Beaver Homes & Cottages Design Consultant can help you find builders in your area.